Automobile safety is an important issue that all drivers should be aware of. It's because being aware of the issues impacts not only the driver and his passenger or passengers but other motorists, their passengers, pedestrians, real estate, and personal properties along the roads that he takes. Ignorance or neglect of car safety issues which results in injuries, death, or destruction of property is unfortunate. It has happened and continue to happen in the nation's streets and highways because people choose to be reckless and irresponsible in their decisions. Add to that the failure of car makers to properly test their vehicles to ensure safety. There are many contributing factors to accidents. Most are preventable. But many continue to practice habits that don't mix with driving. New York Dui - The DUI Foundation hopes to reinforce the idea that a single drunk driving accident can permanently have a negative impact on you, passengers in your vehicle, and anyone else involved in the disaster (drivers and passengers in other automobiles and even pedestrians). Like for instance, driving drunk. All US states have tough drunk driving laws which result in loss of driving privileges and jail time for violators. Yet, time and again, people are not deterred by those laws. Unless motorists who imbibe alcohol decide en masse to consciously change their ways and stop driving drunk altogether, we'll continue to witness and read about tragedies in the nation's roads and highways. Yet we know that despite ongoing efforts in educating drinkers about drinking hazards and its effects on automobile safety, people will continue to drink and drive. 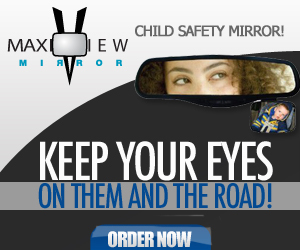 This page will attempt to contribute to the efforts to educate motorists about safe driving . Some people will listen and contribute to automobile safety. Some will not. And we should be aware that it's not only alcohol which threatens the car safety of motorists - there's a host of factors which this page is going to deal with. Living for the moment and the thrill of driving a fast, powerful car is enough for many people to want to become a racing driver, regardless of whether or not they practice automobile safety. Whether you’re into Formula 1, touring car racing or sports car racing - the dream of becoming a professional driver is not completely out of reach. It might seem scary and intimidating at first, but if you’re willing to put the time and the effort into becoming a professional, you just might succeed. To help you get on the right path, you should take the following tips into consideration. 1. According to the CNN, go-karting is: “the ultimate breeding ground for any Formula One star of the future, and a medium endorsed by one of the sport's greatest drivers, Ayrton Senna.” Even Mark Webber is known for having hit the mini tracks as a teenager. He also had automobile safety instilled into him by his elders. Go-karting is a fantastic introduction into the world of racing that even children can participate in. Here you’ll learn the rules of the tracks, the meaning of the various flags and naturally, you’ll also improve your skills and gain tons of experience. 2. F1K Indoor Karting confirms that you don’t need a driver’s licence to use their facilities but if you’re serious about becoming a professional racer, then you should definitely learn how to drive and take the test - you won’t find many racing drivers who haven’t passed their regular driving tests. While the style of driving on a race track differs hugely from driving on the road, you should try and gain experience in all areas of driving to get a little bit closer to your dream. 3. If you discover that you love go-karting and you’ve already passed your driving test, then you might want to think about joining a racing school. One of the country’s leading ARDS schools (Association of Racing Drivers Schools) can be found at Silverstone. The Silverstone Motorsport Academy can help you achieve your National B Competition License. On a real race track, you get the chance to pick up skills that you might not be able to learn on a go-kart race track. It’ll be a very competitive environment, but you can be sure that being taught on an official F1 racetrack can greatly improve your skills and practice automobile safety as well.